Nowadays both men and women cares about their hair equally. So this lead to the development of many hair care product based brands. Often we read only the claims and buy the products by seeing attractive commercial ads. Due to some awareness we came to know about harsh chemicals like SLS/SLES and parabens but what about the other nasty chemicals.But how many of us read ingredient list fully…. only few. When we read the ingredient list we come across many ingredients which we can’t even pronounce correctly and often ignore them. We are conscious only about SLS/SLES and parabens but not about other dirty chemicals. I have compiled some harsh and unsafe chemicals that are commonly found in hair care products. You read it right. Yes coal tar is used in treating dry skin and dry scalp issues. It is often found in anti dandruff and anti lice shampoos and treatment products. Coal tar is carcinogen. Carcinogen is nothing but a substance that causes cancer in living tissues.The European Nation has banned using coal tar in hair hair products. But still other parts of globe continues to use this. Coal tar is associated to cause lung cancer. Often companied don’t mention it as COAL TAR in their ingredient list. They mention it as some colour+number. These are the most popular ingredients used in shampoos and body washes. We all know that it dries out our scalp and hair. Actually SLS/SLES/Ammonium laurel sulfate was initially used to remove grease from engines. But now it is found in shampoos. Most of the shampoos have SLS/SLES/Ammonium laurel sulfate within first 5 ingredients which means that the shampoo has SLS/SLES/Ammonium laurel sulfate in higher quantity. Just think if it degreases an engine what it will do to our hair. Isopropyl is an alcoholic chemical that has the ability to dissolve oils. So this will just dissolve natural oil present in our scalp and hair and lead to dryness in hair which in turn causes hair breakage. Isopropyl is found in many hair gels and hair sprays as it has the ability to hold your hairstyle. It is also found in volumizing hair products. Inhaling isopropyl vapour can lead to head ache, dizziness and sometimes even depression.So next time if you use hair products with isopropyl just think that you are removing natural oil from hair which leads to keratin chain breakage and thus it affects hair growth. Propylene glycol is used in hair care products to make your hair smooth and shiny.We all will be happy to see our hair smooth and shiny but we are actually destroying our hair structure. It damages cellular structure of our hair and breakes our hair. If you have itchy scalp then propylene glycol in your hair care product is responsible for it. It is better to avoid this. Alcohol is found in most of the shampoos and conditioners. We have to consider only when the alcohol is within first 5 ingredients. If it is first 5 then it is better to avoid it since it dries out your hair. It is also another carcinogen that leads to cancer. It is found in hair colours and in lipstick. Most of the time we don’t see Lead as an ingredient since they are not used as an ingredient. They are used as contaminant. It is used in the process of manufacturing the product. These ingredients are found almost in every other hair care products. Different brands uses different colours and perfumes that leads to allergies and scalp irritation. 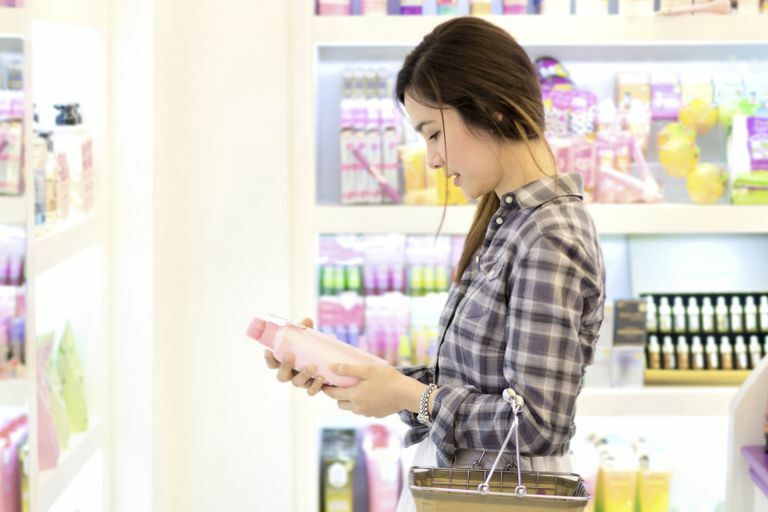 These can range from low toxin colours and perfumes to highly toxic colours and perfumes since the ingredient list doesn’t specify the name of the perfume or colours. These two are the preservatives used in hair care products stating that they are paraben free. They two are not really gentle on your skin and hair. It actually releases formaldehyde-donors that irritate respiratory system and causes skin irritation. It can also cause head aches, dizziness and loss of speech. Mineral oil is found in most of the baby oil and hair oils sold out there. It is derivative of crude oil. If use oils that has mineral oil in it, it just coats our hair and prevents our hair from breatging and acts as barrier between moisture and hair and makes hair drier instead of conditioning it. Sodium chloride is used as thickening agent in shampoos and conditioners containing SLS/SLES. It is the reason why our eye gets irritated once our eye gets contact with the shampoo. Research states that it contributes ti hair loss in long run. Shampoos containing Ammonium Laureth Sulfate has ammonium chloride in it. So next time when you purchase a hair care product don’t forget to read the ingredients .